The test of Sony KD55X720E vs LG 55UK6300PUE makes it possible to compare the differences between Sony of X720E series (2017) and LG of UK630 one (2018) that are not immediately obvious and could clarify the reasons for Sony KD55X720E twice higher price. Sony KD55X720E is a LED TV with the IPS display to provide a good viewing angle. It includes Opera TV Store that can offer just a limited set of apps. The TV has a Dynamic Contrasts Enhancer to produce brighter highlights in each scene. LG 55UK6300PUE has AL ThinQ to offer plenty of apps and voice control. It is based on the quad-core processor to reduce noises, improve sharpness, and provide a high-quality upscaling. 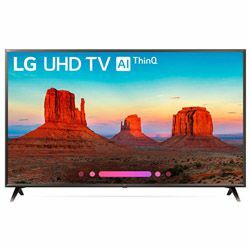 The test LG 55UK6300PUE vs Sony KD55X720E hasn’t revealed any essential diversities in the TVs’ picture that is really decent. It is clear and rich, and good gray uniformity is great for watching sports. Both TV’s can overcome glare but not very effective in a large bright room with several windows. LG 55UK6300PUE’s color accuracy becomes perfect after calibration. Sony KD55X720E can offer only white color calibration that makes the adjustments rather complicated but still efficient. Both units provide a high-quality upscaling to watch any content in 4K HDR. The TVs are reliable and have no burn-in risk like some other IPS panels when playing games or using the TV as a monitor. Both units have an excellent low input lag for great gaming. The TVs have the same number of HDMI inputs, but Sony KD55X720E has 3 USB inputs versus LG 55UK6300PUE’s 2 ones to connect more external devices. Their sound is mediocre, because of low volume that can be eliminated with the aid of soundbar. 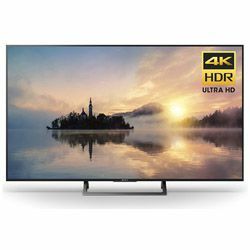 Either Sony KD55X720E or LG 55UK6300PUE are flat. Sony KD55X720E has a center stand with a small footprint to place it on any table. LG 55UK6300PUE’s side stands are wide that require a wide table but allows placing a soundbar between them. Most of the inputs are on both TVs’ back panel. LG 55UK6300PUE have thicker borders, but it thinner itself than Sony KD55X720E. The ClearAudio tech does its job and makes the sound more surround and clear and the dialogs more separate. Only 2 of its 3 HDMI inputs support full bandwidth that reduces the number of devices to connect. It has a very small response time that is good for fast-moving movies and games. Easy setting menu with many presets. Low native contrast and black uniformity that’s why the blacks are not deep.